Get a new Chromebook over the holidays? Forget that. Are you in need of some expanded storage for just about anything? Thankfully, the price of removable storage continues a sharp downward trend and we’re seeing deals like this on almost a weekly basis. This week, it’s SanDisk. For just a tad over $80 you can get 400GB of storage in the form of the SanDisk Ultra MicroSD card. It breaks down to just shy of $0.21/GB and it comes with a full-size adapter should your device require it. 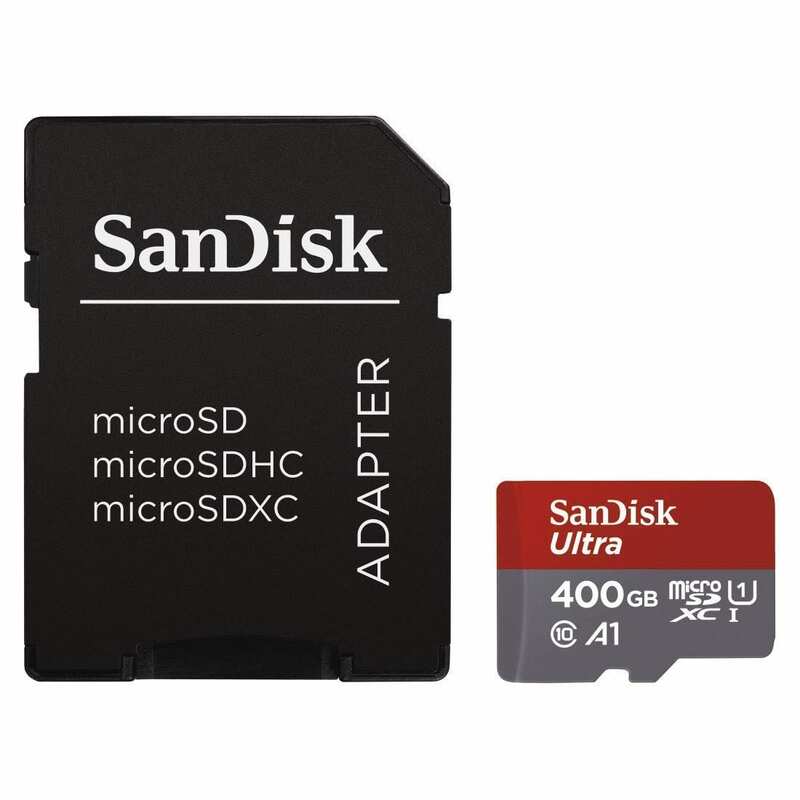 Amazon lists the SanDisk at a $249 retail but we all know that’s more than a bit inflated. Still, this is a great price for nearly half of a terabyte of storage space. This isn’t the Extreme series so don’t plan on using it for 4K projects but the Ultra MicroSD card is ample for daily use with a max read speed of 100MB/s and write speeds of around 50MB/s. The smaller SanDisk drives are on sell as well but the discounts lessen as the size decreases. Anyway, I just snagged a couple so get some while you can.